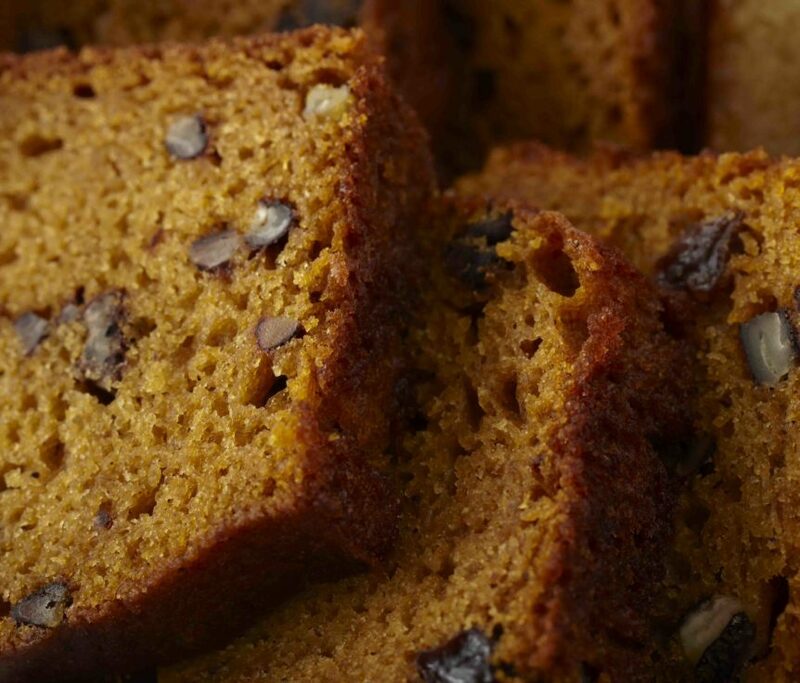 This easy pumpkin bread is a crowd-pleaser during the fall or over the holidays. Bake in mini load pans for great gifts! Heat oven to 350 degrees Fahrenheit. Coat bottom and sides of 9 x 5 x 3-inch loaf pan with cooking spray. Mix flour, baking soda, spice, salt and baking powder in medium bowl. Combine pecans, raisins and 1 tablespoon of the flour mixture in a small bowl and toss. Beat butter and sugar in mixer bowl on medium speed until light and fluffy. Beat in eggs, pumpkin, orange juice and vanilla. Reduce speed to low. Add flour mixture and beat until blended. Stir in pecans and raisins. Pour batter into prepared pan. Bake in 350 degree oven until bread begins to pull away from sides of pan and wooden pick inserted in center comes out clean, 60 to 70 minutes. Cool on wire rack. Loosen bread from sides of pan with thin knife. Gently shake bread out of pan onto rack.